I usually talk it out to my peers and family about my premenstrual syndrome and let them leave me alone for hours to help me relieve the social stress. Second, I exercise. Of course I feel I am really tired, but after exercise, I feel much better, especially after swimming. Third, I eat good food to cure my cravings. This will be the last option. Lastly, I manage myself on my emotions to try to not hurt myself and others while having negative thought. I will be fine after all of it. I have had several abdominal surgeries since 1992, a complete hysterectomy with a bikini cut, an appendectomy, an aorta bifemoral bypass, and surgery for an abscess near my appendix scar and above my right femoral artery bypass. I developed a pouch between my appendix scar and my abscess surgery scar. It is not a hernia but hardens when I have to have a bowel movement and then I have severe pain on my right side all the way to my lower pelvis. I am going to my gastroenterologist today to see if this pain is from adhesions. The pain is as severe as childbirth labor pains. I have a pacemaker/defibrillator and received a call from pacemaker clinic saying my pacemaker battery was showing low and needed to be changed. I was feeling bad, no energy, just beat and thought the low battery was causing the problem, no. They needed to change the entire pacemaker and just minutes before the cut was made the nurse said I was in atrial fibrillation for a month and out I went. They changed my pacemaker and home I went with a prescription for Pradaxa and didn't improve. May 2015 I was told that cardioversion was not a sure thing and it could cause more problems if they try it and I should just learn to live with my problem and take Pradaxa. I went to see a new cardiologist and he told me to change my Lipitor to Crestor and stop taking Pradaxa and start taking Eliquis. A short time after changing my drugs was I feeling good, not a lot more energy but felt good. About 3 months later I moved and changed my cardiologist who asked me why we don't try a cardioversion and he booked me in. Simple procedure, just shock your heart to see if it works. It worked and I feel like I never had a heart attack, and a lot more energy. If you fit the criteria give it a try. I was told after my original heart attack I had 28 percent heart function. Lower section of heart was damaged. Stop drinking water, drink just enough and that's it. The water hurts you and you don't realize it until you start gaining weight. I have been dealing with a dysfunctional thyroid since I was pregnant with my 3rd child back in 1997. I had what was called Graves' disease (over active thyroid) and the grave is where I felt I was heading with my symptoms. It took the doctor two years to figure out what was wrong with me, by that time my cholesterol was high, my blood pressure was high, and I had trouble breathing. When I was finally diagnosed I was sent for the radiation iodine treatment, but it did not do much the first time so I was sent again, and then there was overkill, I then had hypothyroidism. 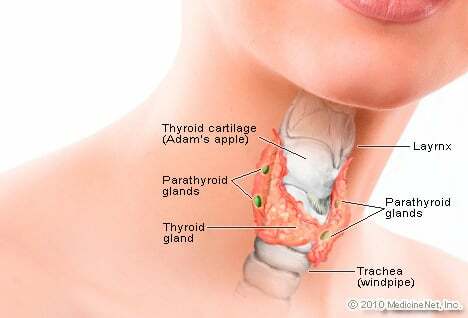 So, since then my thyroid has been difficult to regulate but it is not all of the medication's responsibility to do so. I was told to eat lots of greens, lots of water, exercise to keep all the bad at lower levels, less pastas, the carbohydrates in foods practically just store in your body. Soda, especially the darker sodas are a very big no-no! Lower your food intake and replace it with fruits and vegetables. The one cool thing to own is 'Bullet' or even a regular blender to make vegetable or fruit smoothies. Or if you don't have the time to spare, then the V-8 vegetable drinks also help. Your body needs iodine but I suggest getting an iodine supplement instead of relying on enough being in what you eat. To the woman who experienced depression and exhaustion after the birth of her third child, I will relate my experience. I had similar symptoms and was very crabby following the birth of my child. My doctor put me on Mycostasin, which kills the fungus that women have following birth and causes depression. It is not possible to diagnose it, but the effects of the medication are almost instantaneous. I have been a type 1 diabetic for 37 years and I have been battling hypothyroidism for more than half of those years. I have taken levothyroxine to correct this issue but nothing ever changes. My hair falls out, my nails are brittle, I'm tired, swollen and sore all the time, not to mention the weight gain every year even though I eat around 900 to 1000 calories a day. It's very frustrating and I sympathize with all who have this same issue. i am 57 years old and diabetic of type-2 since last 15 years. I have never been tested for thyroid functioning, but now my blood analysis revealed very high level of tsh (ie#82)and t4#7, as per symptoms i have very low heart beat(52),high levels of cholesterol, muscles cramps,s welling around eyes etc. I am taking thyroxin- 2 tablets 100mgs. Off lately i am experiencing palpitation,excessive sleepiness, pains and aches in muscles and back and also get tired very fast. Let me know if i need to do anything else or change the dosage. My nails are brittle, my hair falls out in gobs, I get dizzy, suffer from depression, and can't lose weight although I eat a very healthy diet. My doctor says that my levels are fine. I've been taking medication for my thyroid for over 10 years. I'm so tired of these symptoms and just wish I could do something to prevent them.